Generally, those industries that apply the required or available industry-specific guidance will be the most impacted, as the new revenue standard will supercede nearly all existing GAAP revenue-recognition guidance, including the industry-specific guidance. Some of the industries that will be most affected include telecoms and information technology, entertainment, real estate, oil and gas, and industries where performance-based fees are common. The new revenue standard (for GAAP reporting entities) is effective for public entities for annual reporting periods beginning after December 15, 2016, including interim periods within that reporting period. For all other entities, the new revenue standard is effective for annual reporting periods beginning after December 15, 2017, and interim periods within reporting periods after December 15, 2018. Early adoption is not permitted for public companies. For nonpublic companies, early adoption is permitted in the United States, but no earlier than the effective date for public entities. “Although the FASB has tentatively decided to delay the effective date, we strongly recommend that tax accounting and tax-return preparers begin evaluating the new revenue standard now,” says April Little, a partner at Grant Thornton LLP, who serves as the firm’s international financial reporting standards (IFRS) tax practice leader, as well as tax accounting and financial reporting leader. Given the general nature and timing of tax accounting and compliance, tax professionals who wait for the accounting group to communicate any changes will likely struggle to understand the sweeping changes in revenue recognition accounting policies, to understand how taxes are impacted, to evaluate potential accounting method changes, to include these in the tax provision, and to prepare for the tax returns, she explains. What was the impetus behind the new standard? 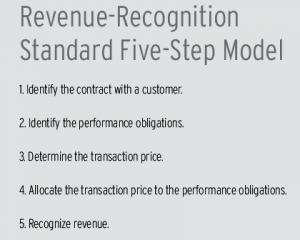 In general, says Little, the FASB issued the new revenue recognition standard (ASC Topic 606, “Revenue from Contracts with Customers,” usually referred to as the “new revenue standard”) to accomplish two key objectives: converge US GAAP and IFRS revenue recognition guidance and increase comparability and consistency in reporting through a single revenue recognition standard. The new revenue standard creates major changes for the FASB and specific changes for the International Accounting Standards Board (IASB, which with FASB are referred to as the Boards). Existing US GAAP includes hundreds of pieces of literature and guidance, often industry-specific, which have been developed over several decades. On the other hand, existing IFRS includes two revenue standards and a handful of interpretations with minimal application guidance. Revenue recognition experts have criticized the IFRS approach as lacking in critical areas, such as multiple element arrangements. “The new revenue standard is the result of a focused effort between both Boards to come up with significant improvements to both US GAAP and IFRS, which were previously at completely different ends of the accounting spectrum with respect to the type and extent of application guidance,” explains Little. Tax departments generally recognize income as cash received. However, tax departments can defer the recognition of income from revenue with two common methods, which are codified in Treasury Regulation (Treas. Reg.) 1.451-5 and Revenue Procedure (Rev. Proc.) 2004-34. Treas. Reg. 1.451-5 deals primarily with deferral related to products and allows deferral for up to two years, but no longer than as allowed for book purposes. A significant technical issue from a tax perspective is that companies currently deferring tax income under one of these mechanisms may find that the underlying book deferral allowing the adoption of a tax deferral mechanism has now disappeared. In other words, tax previously was allowed for deferral for up to two years under Treas. Reg. 1.451-5, but the new standard limits books to less than two years. Given the limitation in both tax provisions limiting deferral to the date of book recognition, an amount may no longer be “deferrable” for tax. Conversely, an amount that previously was not deferred for tax because book recognized the amounts up front could become deferrable now that book is being deferred. In addition, Johnson points out, the new standard will require changes in the tax process. For example, he explains, taxpayers will need to make proactive efforts to identify how any book recognition may have changed, and any adoption adjustments will need to be tax-effected. Taxpayers also will need to add processes monitoring changes in transition and on a go-forward basis to ensure proper identification of tax treatment for book transactions. Consistent comment and thought are developing that the change in the book treatment vis-à-vis the tax treatment could require tax to file an accounting method change if it has historically been under a tax deferral method (or if it has not previously and can now defer). Treasury should definitely consider the change and perhaps offer automatic method-change guidance for companies finding themselves at odds with their current method simply as a result of the change in book accounting. Even better might be Treasury guidance that specifically aligns tax treatment with book guidance such that an accounting method change is not required. Specific sales- and use-tax provisions that were designed to address Staff Accounting Bulletin 101, “Revenue Recognition in Financial Statements” (SAB 101), and other previous US GAAP pronouncements align the accrual/payment of sales and use tax on transactions with the book recognition of revenue. These will need to be reevaluated if the recognition criteria for book is different. Similar to process and monitoring changes, IT systems will definitely need to be evaluated. Many companies have expressed concern that the new US GAAP pronouncement will have significant impact on IT systems, specifically enterprise resource planning (ERP) and data-management systems used for reporting. To the extent that tax relies on data and information out of IT systems, a complete and thorough review of the change in that system and—more important—the data coming out of the system will need to be reviewed for tax relevancy and accuracy. Any tax function that directly links accounting general-ledger systems to tax systems will most certainly need to be updated, especially if new accounts or account reconciliations are being developed, according to Johnson. For example, if any tax-coding bridges deferred revenue accounts to a specific tax account in OneSource, CorpTax, or other tax accounting software, it will need to be evaluated to ensure the coding still yields the appropriate result. Chubb agrees with Johnson on this point, explaining that, at a minimum, the tax function needs to be kept in the loop with the GAAP side of the house during the evaluation and implementation stages. Effective communication throughout the process will be very important to achieve optimal results, he asserts. industries that have historically had a significant amount of industry-specific guidance, such as the oil and gas or real estate industries,” she says. To expedite implementation, the Boards formed the Joint Transition Resource Group for Revenue Recognition (TRG), creating a forum for public discussions of implementation issues among various stakeholders, including preparers, auditors, and users of financial statements. To date, the TRG has addressed broad issues affecting many industries. For example, at the January 26 TRG meeting, the group discussed several broad topics, including noncash consideration and collectability. The discussions helped clarify application for many of the issues raised. Further, the Board shave taken up questions related to other issues as the TRG recommended. “I think the quarterly meeting interval is a bit far apart for the number of issues that have been raised to date. It also remains to be seen what form the ‘minutes’ will take from those meetings and whether those minutes or other output will be helpful to the general public. It’s important to remember that the TRG meetings and related documentation do not constitute authoritative guidance but will help provide a forum for stakeholders to learn about the new revenue standard and provide feedback,” says Little. the FASB tentatively decided to delay adoption by one year. This would allow early adoption for both public and nonpublic entities in line with the original effective date. The IASB plans to meet later this month to announce its decision on a possible deferral of the effective date, Little says. Indeed, do taxpayers have enough lead time to comply with the new standard? If taxpayers and other stakeholders begin preparation early and in collaboration with others in the organization, there’s enough time to evaluate the implications of the new revenue standard, prepare for transition, and effectively manage change, she says. The new revenue model is a single, principles-based model. Entities already reporting using IFRS may find the transition easier, given their level of comfort with a more principles-based accounting framework, while many US GAAP reporting entities may be uncomfortable without the more prescriptive rules and examples to which they have grown accustomed, according to Little. Did the FASB achieve its goal of making revenue recognition simpler and more consistent? At this point, Little is not sure: “I don’t think we will know the answer to that for a few years after the effective date, once entities fully implement the new revenue standard. It is conceivable that companies will read the same single-model guidance and apply the standard differently. However, it is also possible that companies may attempt to fit existing revenue accounting methods into the new standard in order to manage the change. “During the transition to the new revenue standard, we will all have to assess trends and see if there are emerging industry norms in applying the new standard,” Little explains. On the question of simplicity, some will argue that the significant reduction in industry-specific guidance will make it easier to account for revenue transactions. On the other hand, notes Little, others will argue that without prescriptive guidance and rules, the new revenue standard is actually more complex, as it is necessary to apply significant judgment. Little commends the Boards for tackling such a monumental task in overhauling their respective revenue-recognition guidance, despite such a challenging and long road to convergence. “While only time will tell about the success of the new guidance, investors must view the new revenue standard as a win as they try to compare performance across entities and industries around the globe,” she says. From a tax perspective, the key focus will be on ensuring all book accounting changes to revenue recognition and timing are correctly reflected in the tax accounting and compliance, according to Little. “Managing change is often challenging, even in a fully integrated organization with strong, regular accounting, finance, and tax communications,” she says. 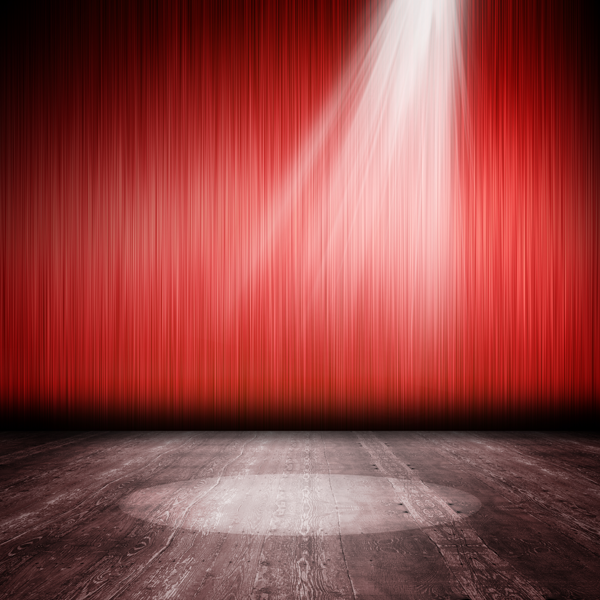 Little applauds the FASB’s “helpful and structured” five-step model (see box, Page 37). Little says the only things she might change about the standard from an accounting perspective are the disclosure requirements. “I think some of those are bordering on onerous and will be difficult to audit. We continue to hope that the FASB doesn’t layer on incremental, authoritative, industry-specific guidance; however, the [American Institute of Certified Public Accountants] is currently undertaking a project to provide nonauthoritative, industry-specific guidance,” she explains. From a tax perspective, Little would like to better understand the Internal Revenue Service’s views on how significant they expect the new standard to impact tax compliance and tax accounting methods. “There may be changes in tax accounting methods, timing of revenue recognition, and international tax calculations and reporting, particularly when the tax amount is correlated in some way to book income,” she says. The most critical thing for tax professionals will be maintaining open, collaborative communication with the accounting and financial reporting group to identify and understand how US GAAP changes impact tax provisions and tax filings, Little says.